I don’t know about you, but You Tube is my new google. So, a couple weeks ago, I came across a bunch of videos by the name “20 $ Makeup Challenge” and it caught my attention immediately! As most of you may know by now, I live in Kuwait and the currency used here is Kuwaiti Dinars. On converting 20 US Dollars into Dinars, the amount I got was 6.05 KD. Now, 6 dinars will probably, not get me the same value for money [in terms of makeup] as $20 would, in the US. So, I decided, to give myself a little more room for bargain and increased the amount to 10 KD. So, the challenge was to find makeup that completes a basic makeup routine. Which means you should be able to cover – Eyes, Lips and Face. I tried to look into, as many brands as I could find in drugstores and the makeup aisles in malls but for some reason, I couldn’t buy everything in one brand. First I was aiming at the brands I’m familiar with- Bourjois, Maybelline, NYX, Mac, etc. but then I decided that I might as well, use this opportunity to try out something new. I left the reduced tag on so you could see that it was on offer and cost me 3 dinars. I don’t know why, I’ve been bothering with all the other foundations and such, when I could’ve gone to body shop and picked one of these! Lemme tell you guys, this thing is fabulous! 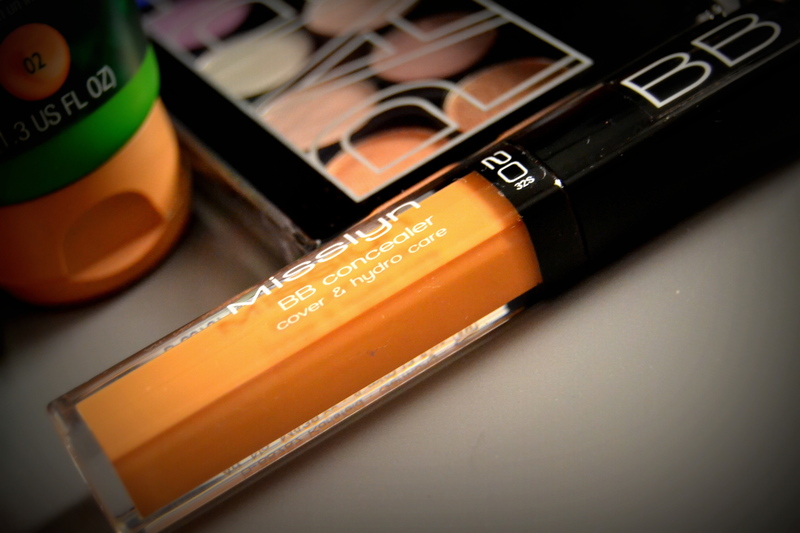 It has just the right amount of coverage and their ‘flawless’ claim, holds true! The first time I applied it, it reminded me of the subtle coverage that my MAC mineralize foundation gives me. 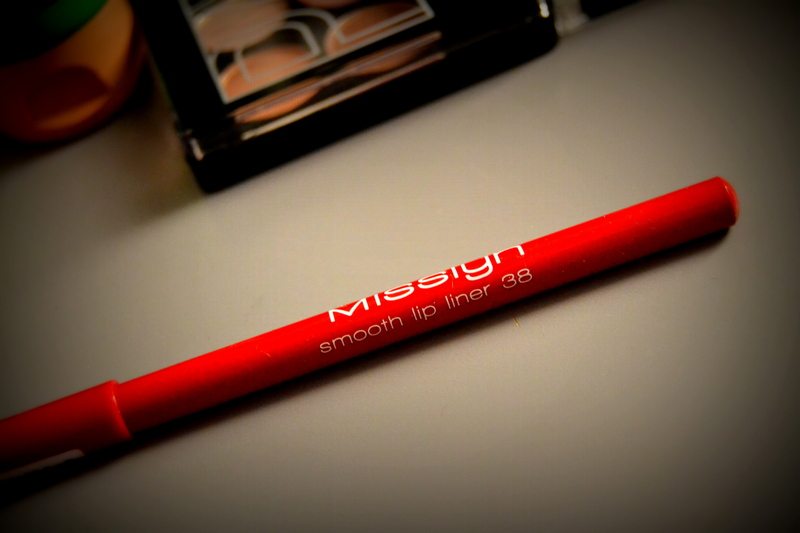 Its light and gives a very natural finish. 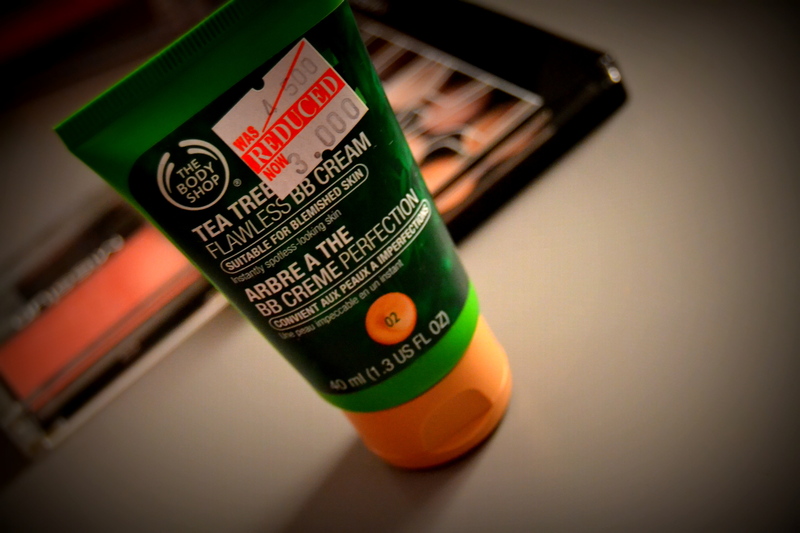 The Tea Tree oil smell is however, quiet prominent when you apply it, but it fades off. The brand that I later, came across was Misslyn. Its a German brand and I had never used it. You can read about them here. The rest of the things I picked up were from this brand, simply because they fit my challenge criteria and if I did buy some other brand, I would’ve crossed the 10kd limit. 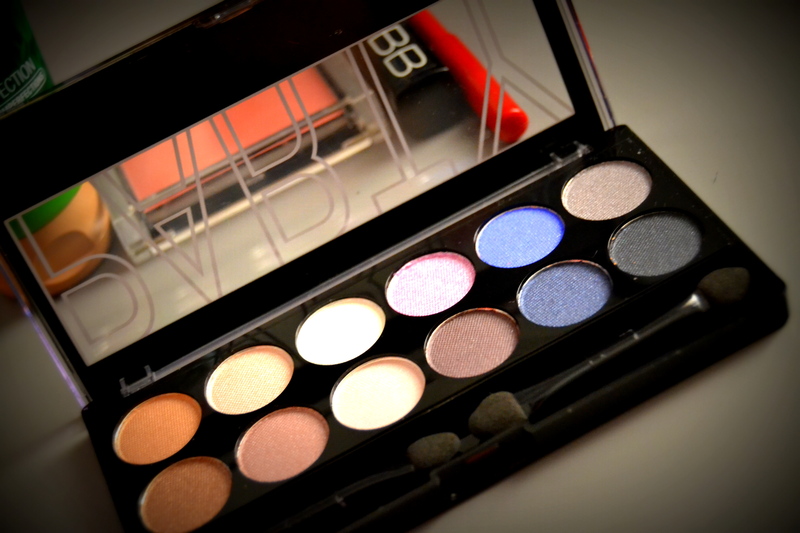 Lets start with the eye shadow palette. I picked their Party palette because it had both matt and shimmer colors. So you can use it for day and for later in the evening.This cost me 3 kd. Next up is the blush. I picked their Pink Cloud blush and the color looks exactly like my Bourjois Rose! 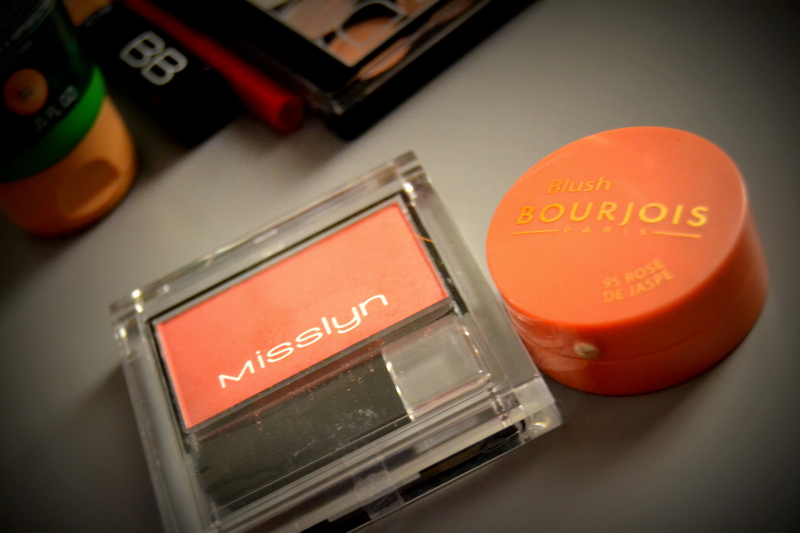 The Bourjois blush is much softer in texture, but the color output from both is the same. Its not very heavily pigmented, so it can be built up, depending on how intense you want it. This cost me 2 kd. This thing here cost me 1.250 kd. Its in the color 38 and its a beautiful red, which can be lightly patted on with the fingers to look pink or used to create a strong red lip! *thumbs up* score! The last item is this, which cost me absolutely nothing! I caught the brand on a promotion, of buy 2 get 1 free. I think this was the best thing ever because I got something useful and without having to spend more than I had wanted to! If however, I were to pay for this, it would’ve cost me 1.500 Kd, which was still within my budget so yeyyyy! By the way, the texture of this similar to the Revlon color stay Concealer. The revlon is much thicker and this one is a little light. So here you have it! A 10 KD challenge, that was well met I guess 🙂 Hope you guys enjoyed this post and I encourage anyone out there [who wishes to] to take up this challenge! Don’t forget to link me in your post, if you do! I’m really looking forward to what others might find in their 10dinars! This entry was posted in Kuwait, Makeup and tagged 10 KD makeup, 10 KD Makeup Challenge, Affordable makeup in kuwait, Body Shop, Buy Makeup in Kuwait, cheap makeup in kuwait, Concealer, KD, Makeup Challenge, Misslyn, Misslyn blush. Bookmark the permalink.